An early morning fire that destroyed a lobster processing plant in a small New Brunswick village has thrown almost 200 people out of work at the community's largest employer. The company says it will rebuild, but until that happens, workers are left scrambling to make ends meet. In the early morning on Thursday, a large fire tore through the Cape Bald Packers lobster processing facility in Bedec, near Richibucto-Village. “This pretty much tops everything,” says Greg Curwin, Richibucto-Village fire chief. “We got a call about 1:45 about an alarm -- a fire -- and when we arrived, it was already fully engulfed in flames,” Curwin said. Crews spent much of the day disassembling what remained of the roof. Underneath it, there were still active fire hotspots. No one was hurt during the fire because at this time of year, the facility was only operating a few days a week. At full production, there are 170 employees. One of them is Karina Babineau, who’s been with the company for four years and feels the loss. Other Richibucto-Village residents, like Mathieu Allain, are trying to come to terms with the loss. The mayor of Richibucto-Village, Roger Doiron, was travelling Thursday, so he wasn't in his home community. 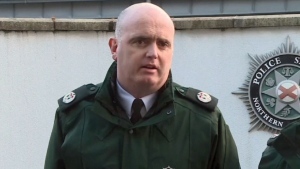 He told CTV that losing an operation like this is heartbreaking. Doiron said that the economic loss of this facility will be felt well beyond the village, as it employed people from all over the region. He hopes the owners of Cape Bald Packers will rebuild soon, maybe as soon as spring, and that residents don't lose hope in the meantime. Cape Bald Packers operates two other processing facilities in the province. 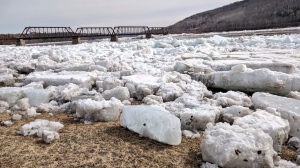 The company confirmed they do have insurance, and hope to rebuild and employ many of the displaced workers by May, when the lobster fishing season gets busy. For now, the loss will sting. “It's going to make a big impact on the economy, because it's the only thing there is,” Allain said. It’s a loss that hit close to home for this seaside fishing community. With files from CTV Atlantic’s Jessica Ng. 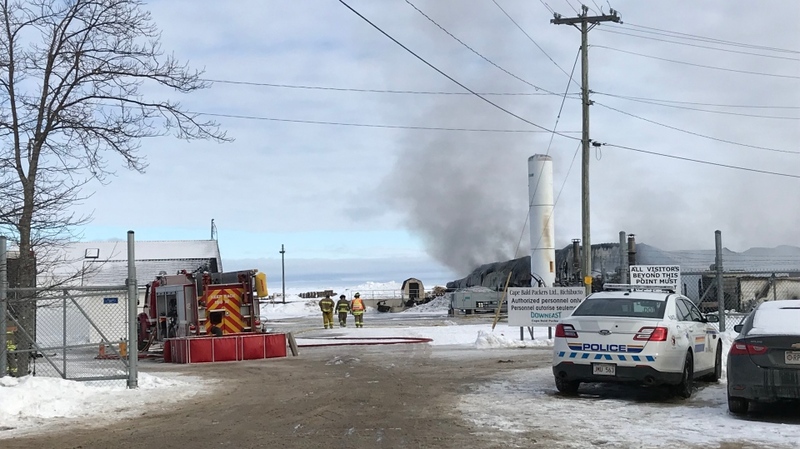 The Cape Bald Packers seafood processing plant in Bedec, N.B., was destroyed by fire on Feb. 7, 2019.